Get the Hands On 2-Learn Preschool Curriculum HERE! Organize Preschool Curriculum With Me! In this video I take you along with me as I sort the hands-on learning activities that we will be doing next week for kindergarten & first grade. I have a list of academic skills that I teach at each grade level. I then choose activities that meet the standards on that list. In this particular video, I put the activities we did last week away, and show you how I choose the new activities for the following week. I also added in our valentine activities at the end! I hope you enjoy. In this video I show you all the alphabet letter manipulatives we have to use with our learning activities. I also talk about which ones are my favorite! 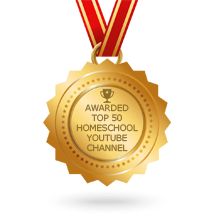 Fun Hands-on Learning is #4 in the top 50 Homeschool YouTube Channels!